Kathleen Raine was a poet, a critic, a scholar and more than that. In the re-emergence of Albion as a mythic idea she is important because of her love for William Blake and her understanding of where Britain stood during its troubled twentieth century; two world wars followed by the emergence of hope later in the century. She often referred to Blake as her master and famously quoted, ‘In time of trouble, I kept the divine vision.’ In her 1973 autobiography ‘Farewell Happy Fields’ she portrayed her beloved Northumberland as Eden and told of how she was able to see many of Shakespeare’s plays when she was growing up. It is said that she knew much of the Bible by heart. ‘Poetry is the very essence of life’ was another of her famous quotes and she believed that poets belonged to another plane of existence; a higher world. Later formal education took place at Girton College, Cambridge where she met Dr Jacob Bronowski and Humphrey Jennings, and she began to turn away from the natural sciences towards poetry, and endowed her thought with a Platonic vision of Goodness, Beauty and Truth. Subsequently she met Ted Hughes, Rosamond Lehmann, Wendell Berry, T.S. Eliot and John Taverner, expanding her circle of friends continuously. Later, in 1990, they initiated the Temenos Academy of Integral Studies promoting a universalist philosophy. At the time Kathleen spoke of Temenos standing for the treasure of ‘things new and old’ which are always timely because they belong to the unchanging nature of things. She grasped the importance of declaring ‘the learning of the Imagination’ anchored in the Perennial Philosophy. 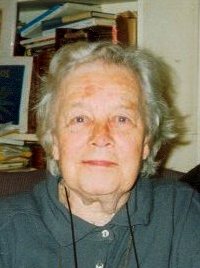 This stream led her to spend time in New York with the Lindisfarne Association, founded by William Irwin Thompson, where according to Kathleen the two currents of the ‘New Age and Perennial Philosophy’ did not find a successful accord.